Red Hill near Fossil Falls, with the crest of the Sierra Nevada in the distance. 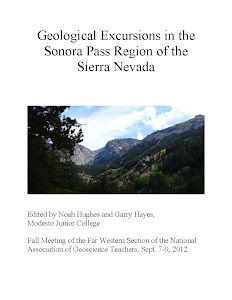 The Sierra Nevada is the largest single block of rock in the United States. It takes the shape of a huge 400 mile long westward tilting range reaching elevations exceeding 14,000 feet. As such, it acts as a gigantic barrier to Pacific storms. The lands to the east are dry and largely barren. One high mountain range after another, like the White and Inyo Mountains, or the Panamints, capture what little precipitation remains, so that Death Valley is left as the driest place on the continent. A few streams originate near the crest and flow into the Owens Valley. For years these streams fed the Owens River which filled Owens Lake, covering just over 100 square miles to a depth of 30 feet or so. From there the water could only evaporate or sink into the ground. Today the lake is dry, the victim of water diversions that sent Sierra water to Los Angeles. The lake would have to fill to a depth of 200 feet before spilling over into the next basin at China Lake. That would require much more precipitation than happens in the present day. But the climate has not always been like it is today. At various times during the last 2 million years the world cooled, and glaciers grew in the Sierra Nevada, eventually covering as much as 30% of the range. The glaciers would melt and some 10% of the Sierra water would drain into Owens Lake and spill over into China Lake, eventually reaching Death Valley. Rivers once flowed across the barren desert. The rivers were like a highway for life. 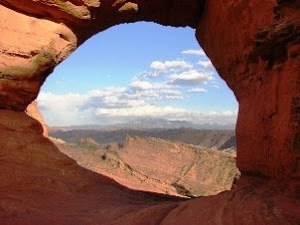 At some point in time, they connected with the Colorado River and numerous species of fish entered the waterways: trout, chub, pupfish and many others established populations in the streams and lakes of the Sierra and eastern desert valleys. As the glaciers receded and disappeared, so did the rivers and lakes of the desert. The few fish populations that survived did so in springs and Sierra streams. For the most part, aquatic life withered away in the desert heat. There was another element to the story. 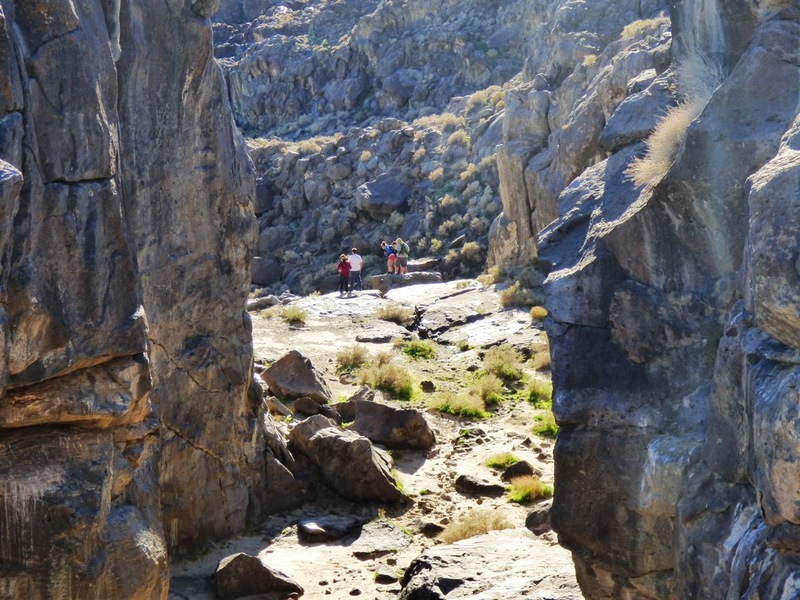 The extensional forces that broke up the crust and formed the desert valleys produced fault lines, and provided conduits for lava to reach the surface. 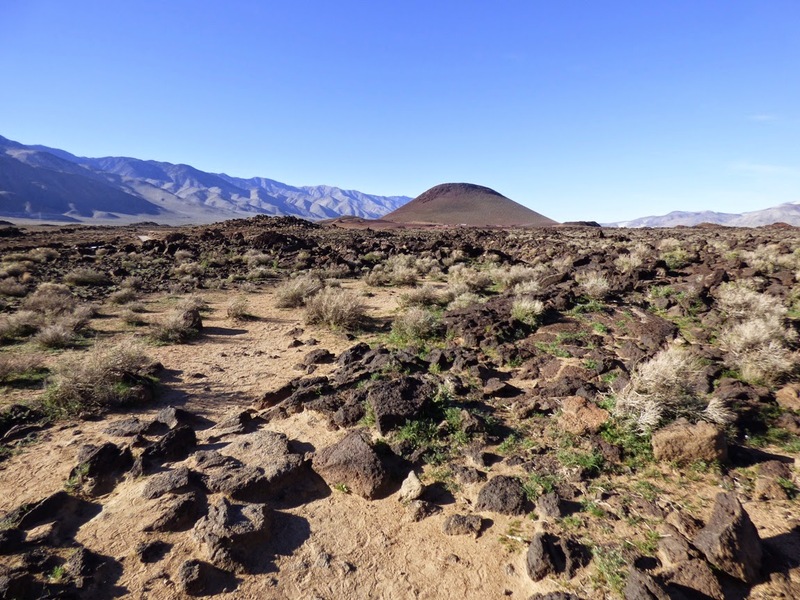 Volcanoes formed in many areas of the desert, including impossibly large calderas like the one at Mammoth Lakes, but in other places, the volcanism was less explosive. South of Owens Lake, there were a number of basaltic lava flows extruded within the last 130,000 years or so. Some of them crossed and blocked the Owens River. The rivers developed channels across the lava flows, and in one place, the waters poured over a forty foot wall, forming a waterfall. 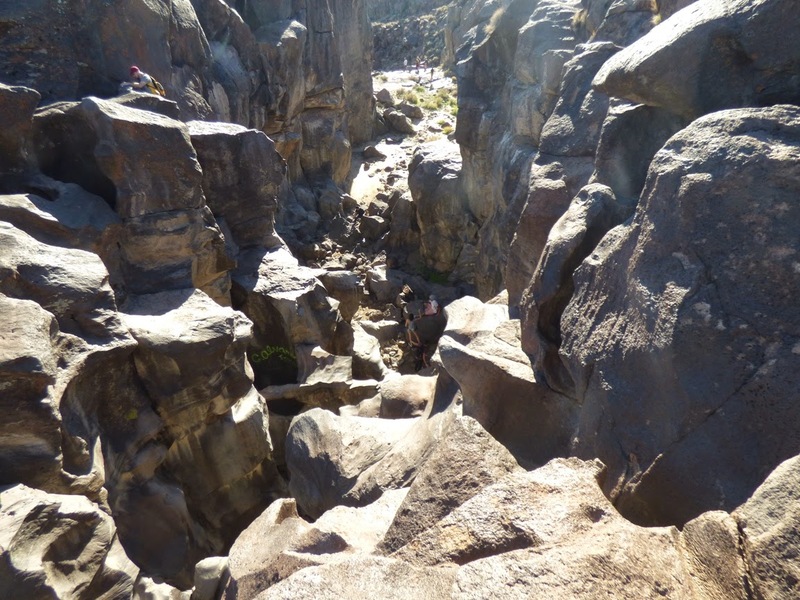 The waters carved a channel in the solid basalt, and swirling gravel and boulders carved deep potholes. 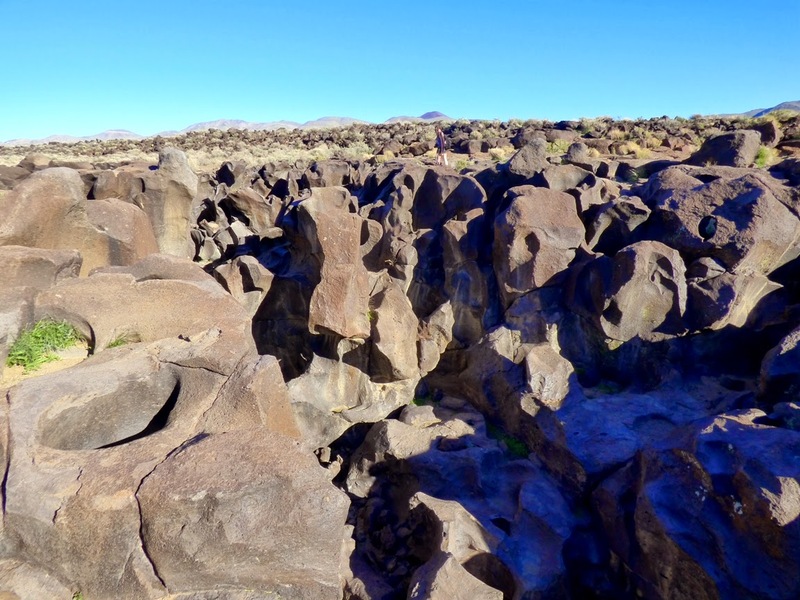 Fossil Falls, just a short distance off of Highway 395 near Red Hill cinder cone is what remains of this now extinct river. It is a fascinating place to explore, and was one of our stops on our journey to Death Valley a few weeks ago. There is little to suggest that aquatic life could survive here, but the potholes play host to a surprising survivor of wetter days. Fairy shrimp are small branchiopods that lay eggs that can survive long periods of dehydration. They lie in the sediment in the bottoms of potholes at Fossil Falls, and on the rare occasions that rain fall, water fills the potholes. This sets off a race for survival as the eggs hatch, and the organisms try to reach adulthood and reproduce before the pitiless sun dries up the water in the holes. It's a hard life, but they've survived this way for thousands of years. It had rained a week before our arrival and water stood in a few of the potholes. I took a close look, and the small pools were teeming with life. I couldn't get any good pictures, but a video I took shows the action. There are longish gray shrimp and some kind of very small swimming creatures at the water's edge. It's is amazing to see life persisting in the most difficult of environments. Could you add an annotated map showing how the owens lake runoff could end up in death valley? I can't see a path on google terrain maps.